Many people do not consume dairy products for a variety of reasons. One of the primary reasons is being lactose-intolerant, i.e., they do not have the enzyme lactase which is required to digest lactose – the sugar present in milk. The other reason can be being allergic to the proteins present in dairy products. Lactose intolerant individuals can digest some amount of dairy products or can eliminate them completely from the diet. People who are allergic will have to stop consumption completely. At such times, it becomes difficult to prepare a recipe which requires you to use butter. You will have to find dairy free butter which can be used instead. Here we will talk about nondairy butter. One of the primary or key ingredients for baking or classic cooking recipes is butter. It is one of the most frequently used dairy products. Given below are list of ingredients which can be termed as dairy free butter or lactose free butter if you are lactose-intolerant or allergic to dairy products. Uses: It can be used in baking, cooking and even in spreads which require butter. Notes: Margarine is one of the best dairy free butter substitutes to be used frequently in baking and classic cooking recipes. It works well to use one cup of margarine for one cup of butter, but it is found that using ¼ cup less of margarine for 1 cup of butter works fine, too. Uses: Oil can be used instead of butter in cooking and baking recipes. Notes: When the cooking technique involves sautéing, roasting or baking, oil can be substituted for butter. It is important to note that when using oil in baking, one cup of oil for one cup of butter gives a very oily product. When substituting, it is better to use ¾ cup oil for every 1 cup of butter. Uses: Using fruit purees as a dairy free butter substitute works only in baking recipes. Notes: The fruits purees which can be used to substitute are apples, prunes, bananas, pineapple and pears. Just blend up the fruit pulp and add it when baking breads or other sweets. They are easy, excellent, delicious and healthy substitutes for butter. 1 cup of butter can be replaced with ½ cup of fruit puree. The sugar quantity will have to be reduced in the recipe because the fruit will add sweetness. If the above dairy free butter substitutes cannot be used for some reason, dairy free butter can be made at home by yourself. Follow the steps below and give yourself a new experience. 1 tbsp. & 1 tsp. Soak the cashew nuts in water for few hours and then blend with the water till a smooth puree is formed. The consistency of this puree should be like cream. Add the cider vinegar and salt to the cashew puree, mix and keep aside for 10 minutes. Mix the puree, coconut oil, canola oil, lecithin and guar gum in the food processor and mix till it is smooth. 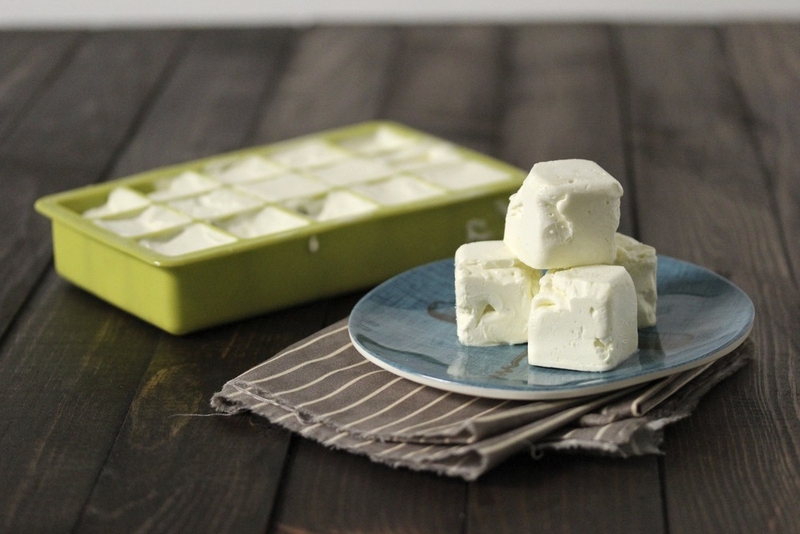 This mixture can be poured into ice-cube trays or larger molds to freeze till they become solid. These can be kept in the freezer for as long as a year and used whenever required. Server responsed at: 04/25/2019 8:07 a.m.